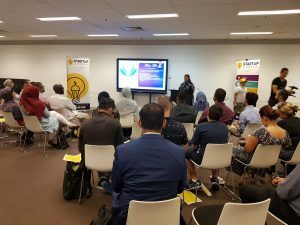 Startup Ummah launched two events during the month of January 2019 in both Melbourne and Sydney. 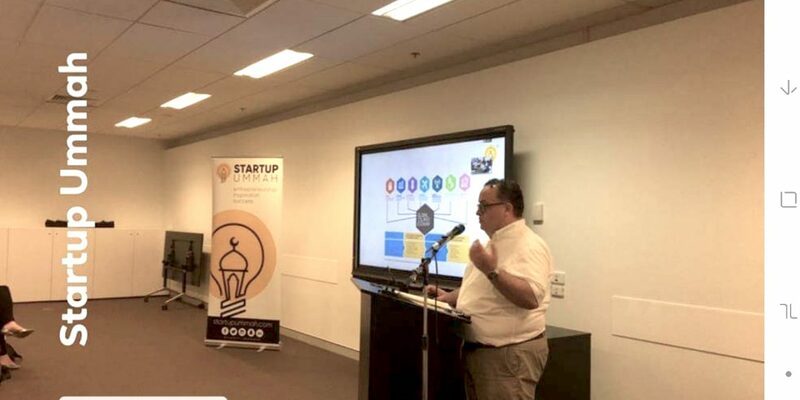 The events are part of a plan to keep the continuity of the conversation, networking and opportunities alive within the Islamic startup and entrepreneurial meetups by creating the first ever Islamic startup eco-system in Australia. 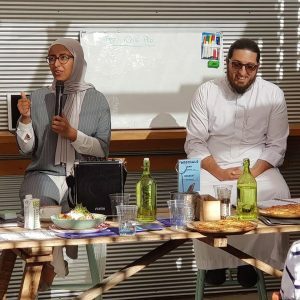 The Melbourne event was very well attended with positive feedback and the hunger to have more of this type of Melbournian casual cafe styled meetups to share ideas and to learn from one and another. 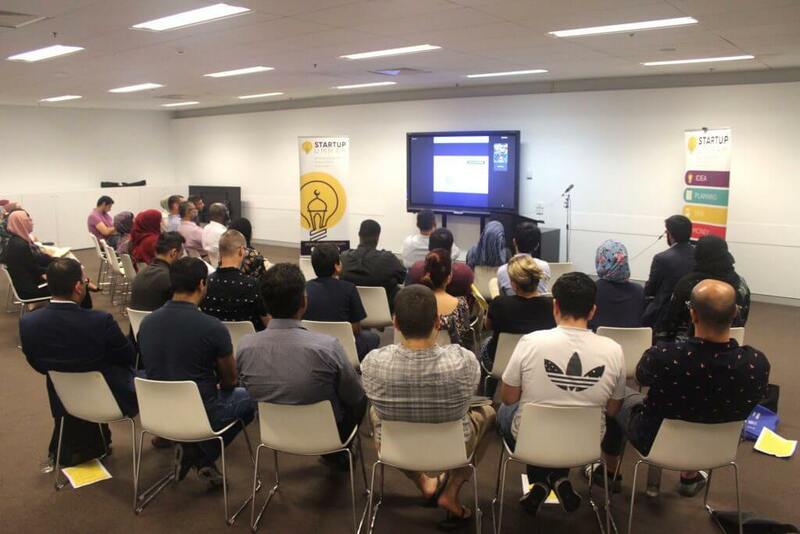 The Sydney meetup on Friday 25 January held at Bankstown Library and Knowledge Centre had a similar outcome with positive feedback and the high attendance which combined both local and international speakers for the evening. Houssam Bizri (Founder, Startup Ummah) explained the importance of such meetups and it’s not just a hype. There are great deep values by coming together as a community to share what and learn from one another on what works and what doesn’t; to network and build opportunities for others. 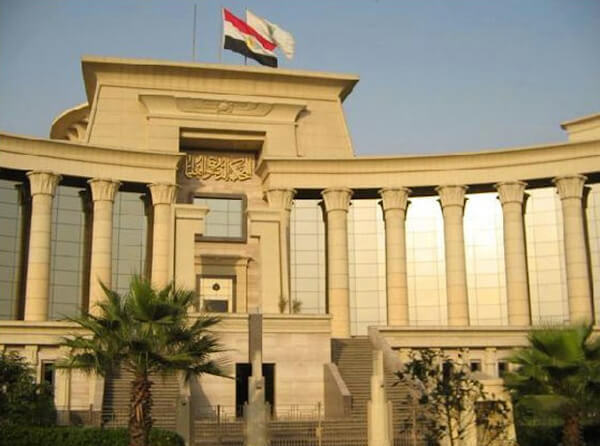 Houssam’s vision is to have Startup Ummah focusing on a number of areas including women-entrepreneurship and teen-entrepreneurship to provide both women and teens with a gateway to be creative and to explore business opportunities. 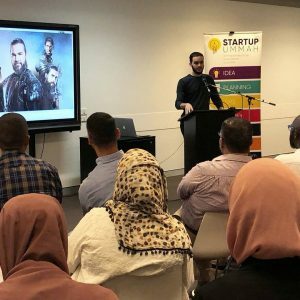 The first series of the meetups concentrated on Islamic Social Entrepreneurship by inviting both international speakers and local members of our community to share their stories of entrepreneurship. 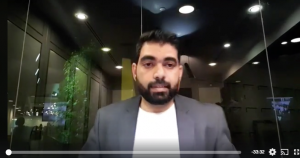 Fateh Ali, Co-Founder/CEO, CollabDeen presented online from Singapore to a live audience in Sydney. Fateh shared his entrepreneurship experiences and hustle of balancing between a full-time corporate job and his own entrepreneur journey for 12 years and sharing how he quit JP Morgan to achieve his eight years old dream of CollabDeen as well talking about social technology Platform and how it’s going to be a sustainable model in itself. Mona Mahamed’s, Founder / CEO, CSS presentation resonated with many of the attendees. Mona’s passions for making a difference and helping people locally led her to found Community Support Services Incorporated in January 2018. Community Support Services is a social enterprise aiming to help vulnerable individuals from low socio-economic backgrounds, providing engaging programs and a platform for social cohesion, particularly for those from CALD nationalities. With over 30 volunteers contributing to Community Support Services Incorporated initiatives, Mona says “We hope to open avenues to train women and youth alike to become financially independent by providing pathways to get them into the workforce and to grow nationally or even internationally, touching as many people as possible, creating a positive ripple effect – thriving, not just surviving!”. 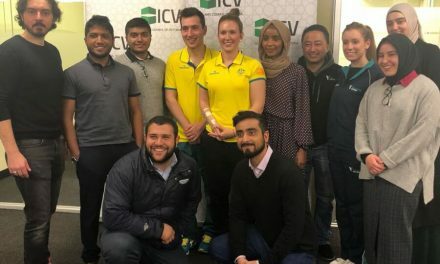 Omar E Hamid Co-founder and CDO, LaunchGood was visiting Australia for few days and was invited to share his experiences as a designer who uses entrepreneurship for social good. His focus is reviving a legacy of innovation and contribution in the global Muslim community to build an inspired future. Growing up in Atlanta, Georgia, USA, Omar founded a successful branding and web design agency in high school. Not long after, he helped launch two community-based startups, including the world’s largest faith-based crowdfunding platform, LaunchGood.com. During this time, Omar won an award, through the Stars of Science innovation program, for the design of the world’s first chair specifically designed for the Mosque, MySanda.com. The Melbourne meetup had a different vibe as it was held in one of the Cafes with lots of tasty food and good coffee. We thank everyone who made it to the first-of-its-kind, Muslim Entrepreneur Meetup. The event was a partnership with StartUp Ummah and Sistrv8! The audience listened intently to the stories shared by two local guest speakers – Zulfiye Tufa from ModMarkit who shared her insight on creating and managing a pop-up Markit where modest fashion lovers can shop, sell and swap modest fashion. Mohammad Ali Hijazi from IQra’ Pro who shared his insight on the challenges of designing and developing an APP. Stay up to date with the next events organised by Startup Ummah by following on social media (Facebook, Instagram). A new website is being developed to be released mid-February. Houssam Bizri is an EDUpreneur. Director, Bizri Digital Academy and Founder Startup Ummah (http;//startupummah.com) Houssam is an award-winning Educational Designer with a demonstrated history of working in the higher education industry in the areas of online teaching and learning. Skilled EDUpreneur with a good track record in assisting StartUps and SME's with online digital solutions, strategies and implementation. 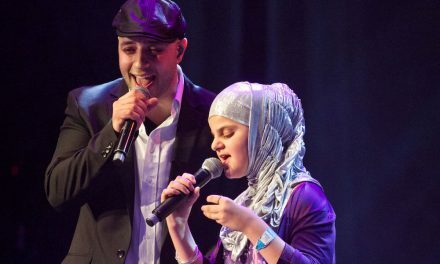 Houssam graduated with a degree in adult education (UTS), masters in Business and Technology (UNSW) and Masters in eLearning (UTS). He is a strong believer in lifelong learning.